11 October 2016 – Global leader in brake technology, TMD Friction, has launched the Mintex FIT Shim, designed and developed for the aftermarket to effectively dampen brake noise. The Floating Isolation Technology (FIT) used within the product is based upon a decoupling and absorption mechanism. 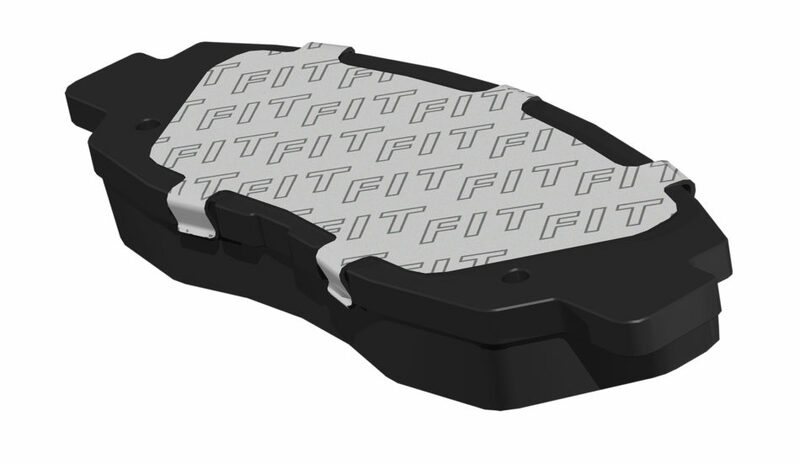 The Mintex FIT Shim is clipped to the brake pad backplate, using a locking-finger design to ensure that it cannot become detached, while allowing it to move between the caliper and the pad’s backplate under load. As a result, this offers superior noise and vibration isolation, as the FIT Shim is able to move freely when the vehicle brakes and return to its original position when the car stops. Within a highly competitive automotive market, brakes are not only a basic requirement for safety but a significant factor in driving enjoyment, which can be hindered by brake squeal. The superior isolation surface coating of the Mintex FIT Shim also ensures driving enjoyment is not compromised. TMD’s new FIT technology has shown that it is possible to find an effective solution for dampening brake noise, a key consideration when designing modern braking systems. The Mintex FIT Shim was showcased at this year’s Automechanika and will be rolled out to the aftermarket in the coming months.